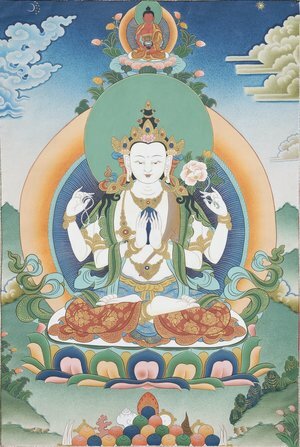 Chenrezik is revered in all traditions of Buddhism as the supreme embodiment of compassion. 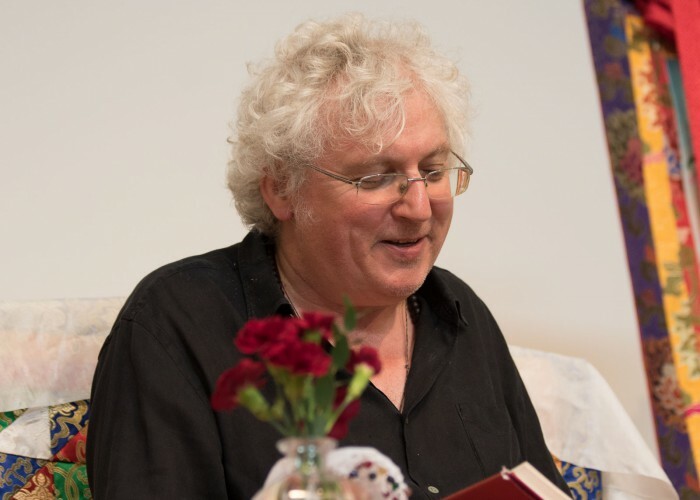 At the Centre we do two different practices, this one is called The Union of Great Compassion and the Great Seal. Composed by Ngorchen Konchog Lhundrup this practice of Chenrezik is combined with Mahamudra. 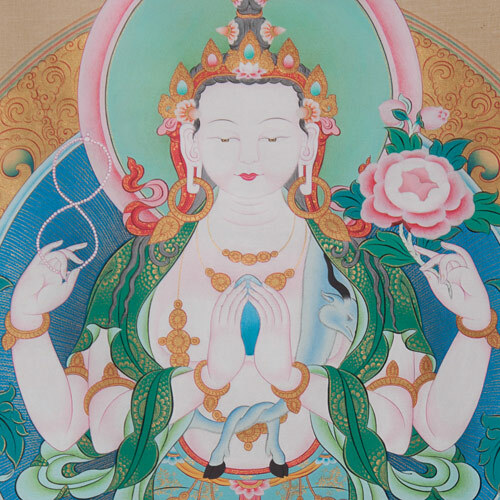 Through meditation upon Chenrezik we quickly develop compassion and conjoined with Mahamudra we are also benefitted by meditating directly on the nature of mind.